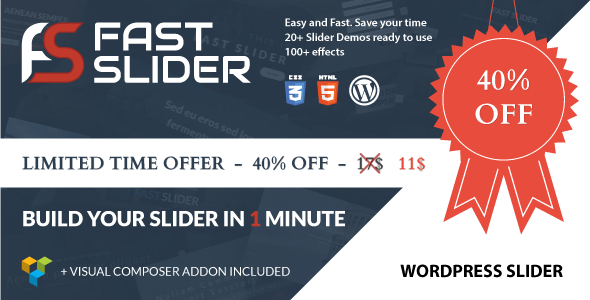 Welcome to Fast Slider for Wordpress. With this awesome plugin you can build your slider in 1 minute. You can choose from 30+ demos available and you can import all demos or a single demos in few step and they are ready to use. Easy and Fast. Save your time.